When a structure’s walls, crawl space, and attic are insulated, the barriers of these sections combine to form thermal envelopes. Layers of insulating material are placed in crawl spaces, structural walls, and attics when the home is built, but a variety of factors can cause the insulation to settle or deteriorate over time. Homes that have efficient and well-maintained thermal envelopes are more comfortable to live in and have higher average property values than poorly-insulated houses. Maintaining effective home insulation and addressing problem areas are essential to your home’s comfort and value. While we normally give little thought to crawl spaces, it’s well worth sealing and insulating them to help improve your home’s energy efficiency and reduce heating and cooling problems. Both hot and cold air can escape through your floor unless your crawl space is properly insulated. If effective home insulation is missing in the crawl space, it will take more energy to keep your home warm in the winter and cool in the summer. By sealing your crawl space in a thermal envelope, you can potentially reduce your energy bills by up to 20%. For most crawl spaces, the best method is to install rigid foam insulation board against the crawl space foundation walls (if applicable). Rigid foam insulation is moisture resistant, helps inhibit mold growth, maintains its R-value, and won’t fall out of place, making it a great choice for crawl spaces. You should also install a vapor barrier over the dirt floor of your crawl space when using this method. For an affordable DIY method, you can apply fiberglass insulation batts or rolls under the subfloor and between the floor joists. Be sure to install with the paper vapor barrier facing up towards the floor and make sure it fits snugly between the joists. Once securely in place, cover the insulation with a vapor barrier to help prevent the buildup of moisture and mold, and to keep out pests. 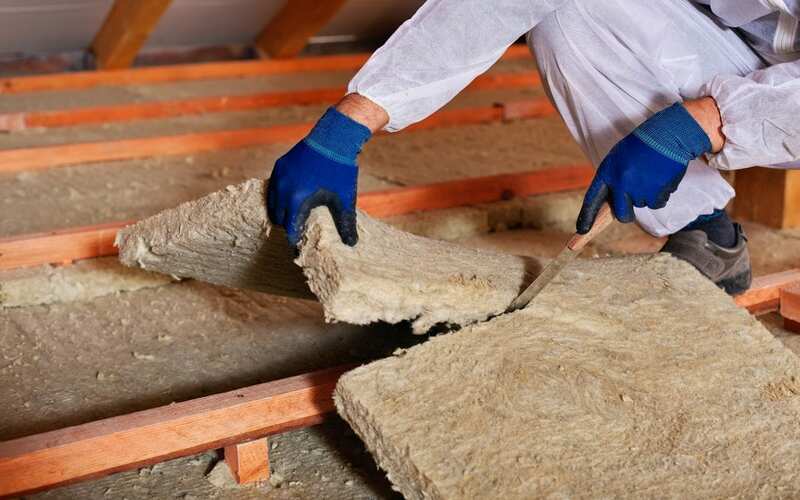 While both methods will provide effective home insulation in your crawl space, rigid foam insulation boards are the best choice for damp and humid areas like central Florida. Houses that have leaky thermal envelopes often allow large amounts of air to escape through walls, windows, and doors. In contrast, houses that have adequate levels of wall and window insulation keep operating costs down by maintaining cool conditions in hot weather and warm conditions during winter months. Roll and Batt: This is one of the most common forms of wall insulation, and it provides reasonable heat-retention values. Batt insulation comes in flexible rolls that consist of insulating fibers and binders. Expanded Polystyrene (EPS): EPS is a kind of rigid, insulating polymer. To make EPS sheets, manufacturers usually sandwich layers of EPS inside treated wood to form strong, durable, and moisture resistant panels. Blown Insulation: Blown insulation allows builders to access hard to reach spaces. Examples include the insides of finished framed walls and inaccessible attics. The attic forms the top of the thermal envelope. Attics that lack the proper kinds or levels of insulation can route heated or cooled air directly out of homes. To fight this tendency, builders use a number of strategies. Batt insulation sees wide use in many attics, and if it is applied at the proper thickness it acts as an effective insulator. The rolls of flexible insulation may be placed between attic flooring beams, and for extra effect, builders may use reflective radiant-barrier coverings placed over the exposed insulation. Radiant-barriers can be effective in stopping radiant heat loss, while the batt insulation takes care of convective heat leakage. Taken together, they form the solid top of the thermal envelope. Homeowners can often glean much information on their own, but they can also gain much from the insights of a professionally trained and certified home inspector. At Lakeland Home Inspection Service we also offer Blower Door Testing which can pinpoint air leaks and identify the true state of the insulation in your basement, walls, and attic. If you already own a home and have doubts about the insulation in your home, this test is the first step to implementing effective home insulation. Every home inspection also includes a free thermal imaging scan with our infrared camera that will help pinpoint areas of energy loss and missing insulation. If you are a prospective home buyer, using the services of experienced and certified home inspectors can provide you with inside information that can help you to make informed buying decisions. Contact Lakeland Home Inspection Service if you require home inspection services, blower door testing, thermal imaging, or any of our other home testing services in Central Florida.